The United States, together with British and French allies, launched airstrikes Friday night against Syrian military targets in retaliation for a suspected chemical attack by the regime of President Bashar al-Assad near Damascus a week earlier that killed more than 40 people. Damascus is only 135 miles from Jerusalem. 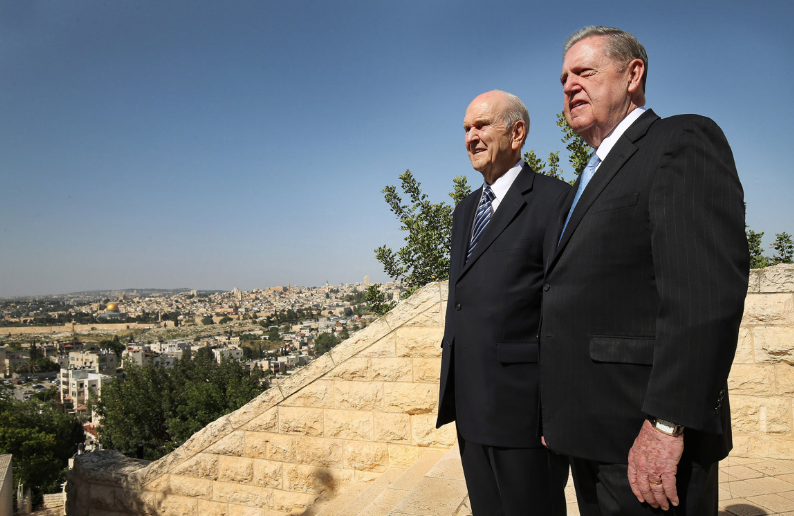 Amid the tensions in the region and rapidly diminishing available airspace, President Nelson — accompanied by his wife, Sister Wendy Nelson, and Elder Jeffrey R. Holland and his wife, Sister Patricia Holland — left Jerusalem with plans to commence the Africa portion of their tour sooner than expected.